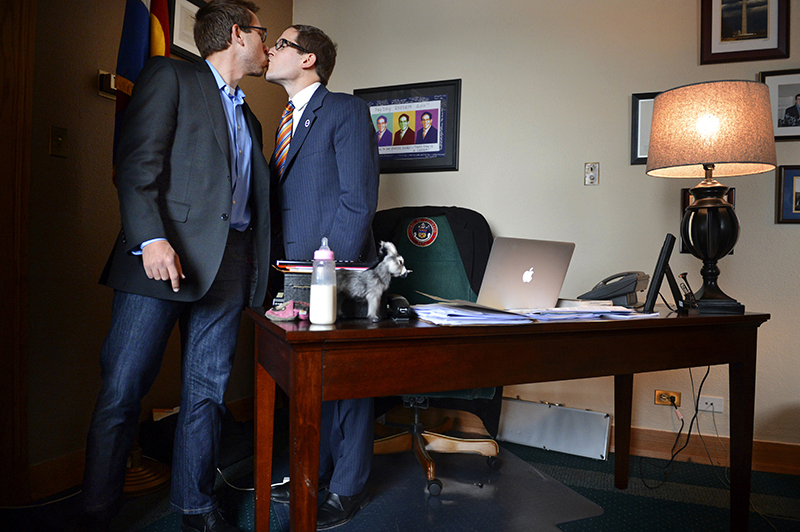 House Speaker Mark Ferrandino, right, kisses his partner Greg Wertsch after the passage of Senate Bill 11 in the Colorado House of Representatives in Denver, CO on March 12, 2013. Ferrandino co-sponsored the bill which will allow gay couples to form civil unions in Colorado. Wertsch attended the historic vote with the couple's foster child.